Today i started to do some android programming and thought it might be good if i share the method of installing the SDK & whatever you need for starting Android development. So by following these step you can start developing your first application! The first step is to download and install Eclipse. Eclipse is a good environment for Android developers. you can download it from Download Eclipse. remember to download the Eclipse IDE for Java and Report Developers version, its 260MB. you don't need to install anything just extract the files from the zip file into a folder and then you can run the Eclipse IDE. you can download the JDK from Download JDK . after downloading install the JDK by using the Setup file. if you already have the JDK there is no need to download it again. 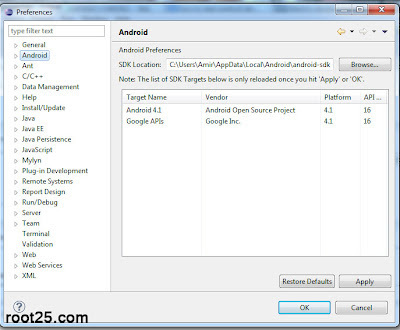 you can download the Android SDK from Download Android SDK . 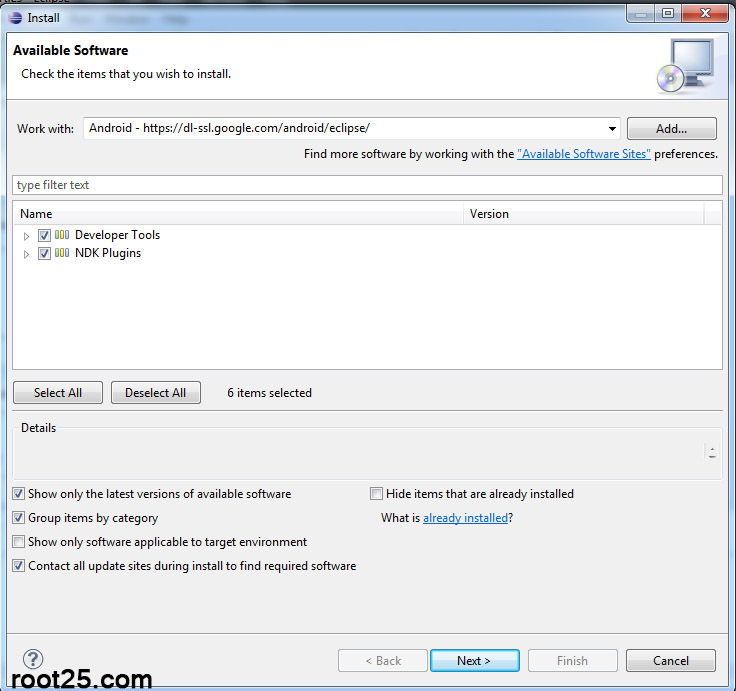 you can easily install the SDK by using the setup file. now you need to configure the Eclipse for Android. Run the eclipse , go to help menu > Click on Install New Software > click on "Add" button. put "Android" as name. Add this https://dl-ssl.google.com/android/eclipse/ for link. then click both check boxes and press next button, It will download Android ADT. after finishing close the eclipse and reopen to finish up the config process. 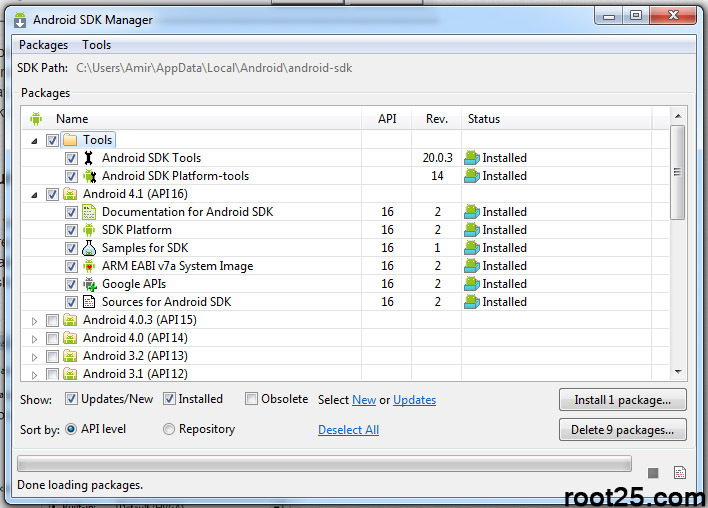 from Start menu find Android SDK Tools and under it click on Android SDK Manager. Now choose the version that you want to start programming for that! for me i tick the "Android 4.1" the latest version , and press install the package. from Start menu find Android SDK Tools and under it click on Android AVD Manager. 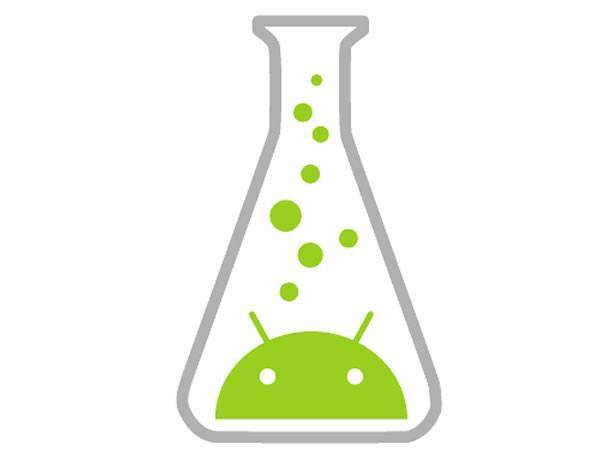 this program will create an Android Device simulator to test your programs on it. 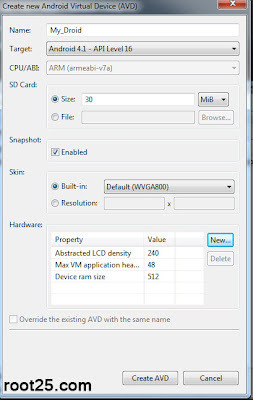 now in this window in name field give a name for your virtual device, i put "My_Droid". 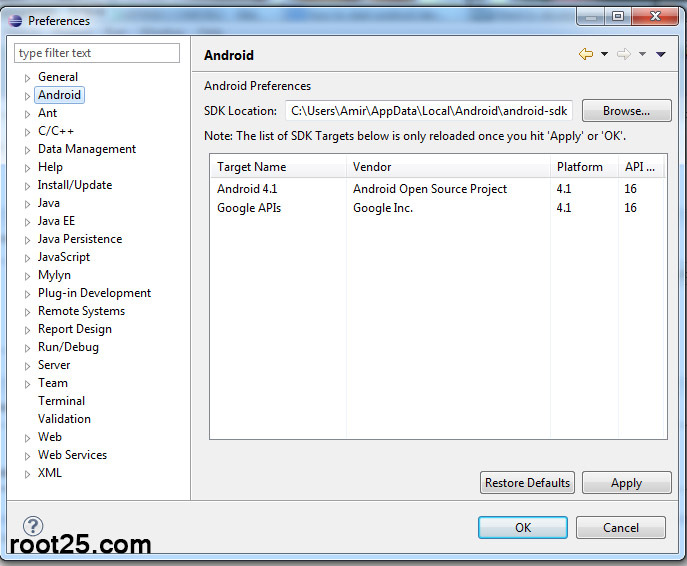 then select the version of Android that you want to program for that in the "Target" section. for now put 30 for Sd. 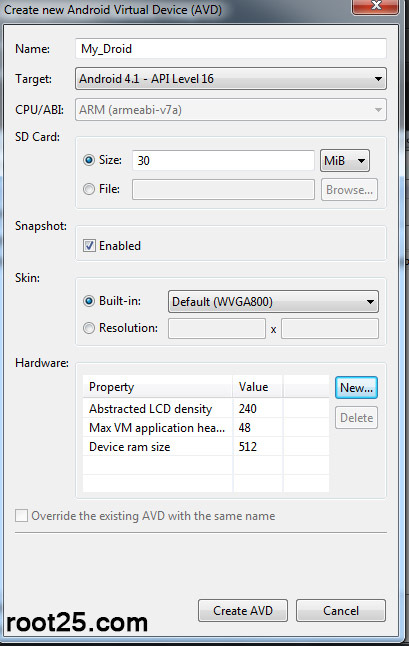 and for skin select the Built in and press Create AVD. later you can edit this device or even add more new devices! Now we need to configure Eclipse again . Run the Eclipse. goto Window menu > Preferences. Ok, now we are done with Installation and Configuration process. you can start your very first project by running the Eclipse, then from "file" menu click on "new" and click on Project. now from this tree choose Android. then click "Android Application Project" and press next.